The more your business grows, the more complex your challenges become. As your business evolves, you face some big challenges that may include ensuring timely delivery of profitable, complex client projects; efficient resource management and billable utilization; retaining, developing, and supporting your team, and accurate revenue and resource forecasting. Companies who overcome these challenges are rewarded with stronger control and visibility across resources to improve profitability and professional services delivery. Optimizing resource management is crucial to profitability, on-time delivery, and client satisfaction for any professional services organization. Yet many are forced to resort to guesswork on staffing projects and forecasting needs — often in a last-minute scramble. Additionally, without proper project-scoping, customers experience cost over-runs and revenues are impacted. 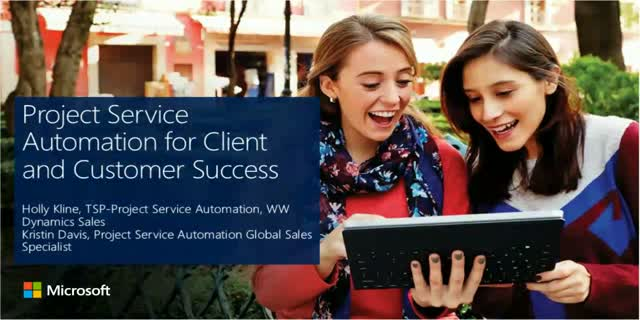 Project Service Automation is a new set of technologies from Microsoft that helps companies make the most of their vital resources. In this webcast, our experts will walk you through key resource and project management functionality in Microsoft Dynamics and highlight best practices to help you improve resource utilization and decrease project over-runs. This webcast is part of our Microsoft Dynamics Business Applications webcast series. Sign up for this session, or the entire series today!